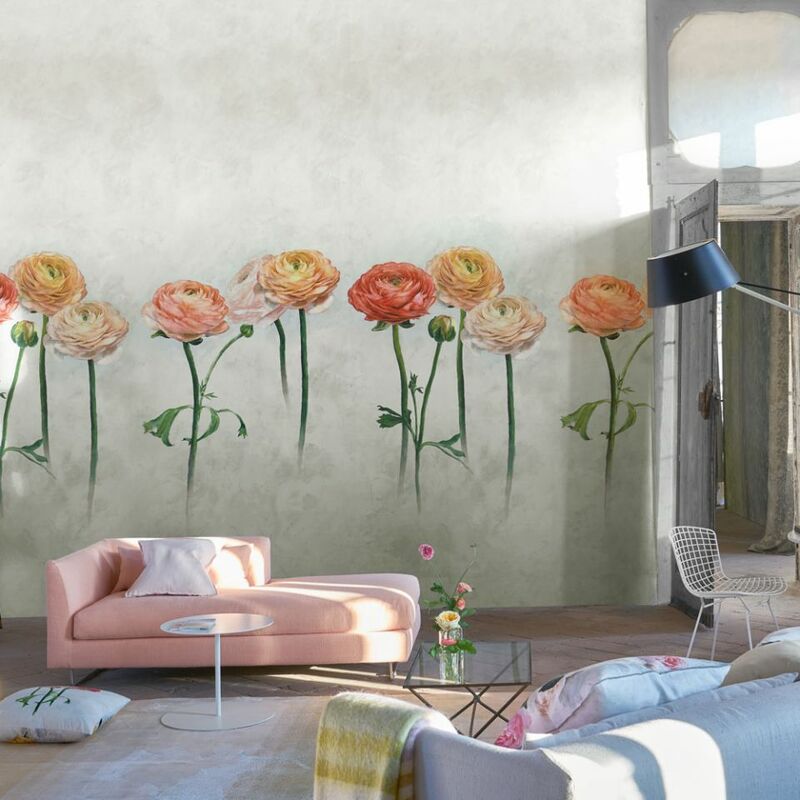 A trio of beautifully drawn ranunculus float above a textural ombre ground. This large scale wallpaper is available in two sublime layouts, which can be used together or alone to stunning effect. This product is sold per panel set on a single roll comprising of 2 x 70cm wide drops each 3m high - coverage 4.2m2 but can be joined together in multiples according to your wall widths and trimmed in the height if required. Roll: 6m (Matching drops 2x3m) Spongeable - Paste the wall - Strippable. When hanging panels and using in conjunction with PDG1099 and PDG1100, we recommend that you determine where you wish to the position the flowers on your wall and then trim your panel to size either at the top/bottom or both. Please take care to trim multiple panels at the same position to ensure an accurate side to side match of the design. Prices include 20% VAT. Outside the EU? If you're ordering outside of the EU, VAT (at 20%) will be removed from your order total, during the checkout process.